Trajectory Tracker Support - DopplerTech Inc. 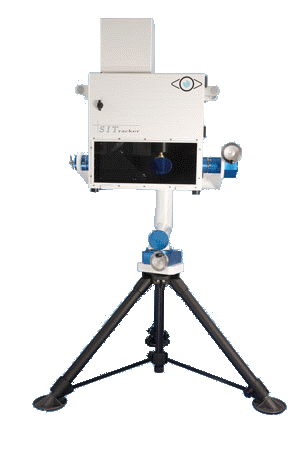 The trajectory tracker is deployed in situations that requre high resolution optical data collection on a test object traveling at very high velocity. Our tracking systems utilize a combination of high resolution high speed cameras with cutting edge technologies in opto-mechanical engineering. The main mirror of our tracker accelerates at an astonishing 30000 m/s² while maintaining smoothness and accuracy. The system can run open loop or real time adjusted velocity via optical velocity traps.